The Mobilane Green Screen can be attached simply to a pole that can be ordered separately. 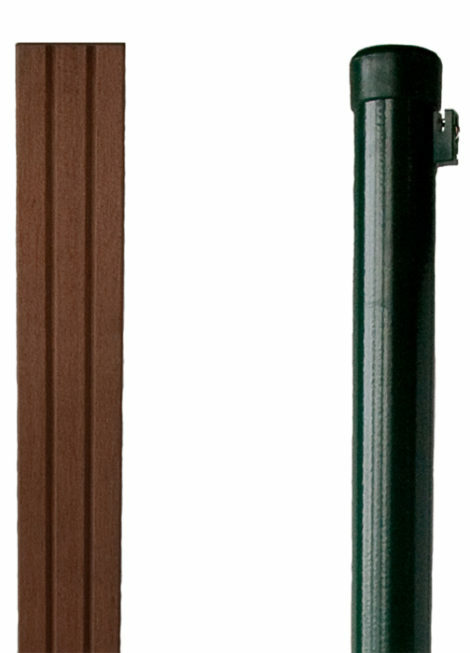 The poles are available in hardwood and metal (green coated) varieties. The size of the pole depends on the height of the hedge. Poles for hedges measuring three metres are not kept in stock. Mobilane can supply iron poles measuring ø60mm x 475cm on request (with a delivery time). 5.9 x 5.9 x 305cm: intended for hedges measuring 220 cm in height. This pole can also be sawn in half and used for a hedge measuring 100 cm in height. The hedge is fixed to the pole of your choice using brackets. When opting for a metal pole, so-called intermediate brackets and end brackets are used (between and at the end of the hedge elements). 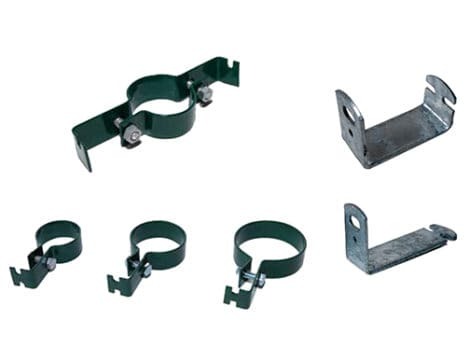 The end brackets are also used for a sloped surface. Only one type of bracket is used for hardwood poles. Installation against a wall? Order the special wall brackets. A garden surrounded by a Mobilane Green Screen deserves a matching gate. 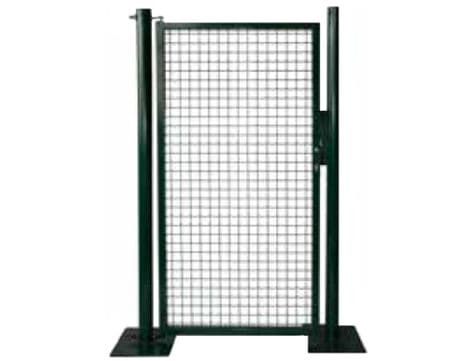 The “Fortinet” gates by Betafence can be ordered in the sizes 175 x 100 cm (hxw) and 95 x 100 cm (hxw). If you would prefer closed fencing, then rolls of green tape are available. This tape is woven through the mesh of the fencing for the gate. The Mobilane Green Screen can be ordered in a large range of heights. Is your required height not available? Then you can opt for the height extension. 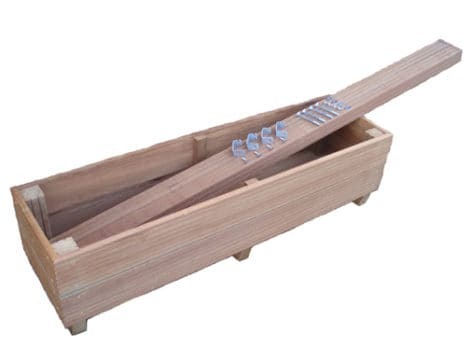 This extension ranges from 25 cm to 175 cm. This allows you to achieve a hedge at the desired height. The Mobilane Green Screen does not necessarily need to be planted in the ground. Mobilane also offers the option of a hardwood planter. This container is filled with fertile potting soil (supplied separately), in which the Mobilane Green Screen can then simply be planted. Do you want to move the hardwood planter? Please order the matching wheel set with two rotating wheels and two fixed wheels.